You Are Here: Home > What Kind of Performance Can You Expect from the 2017 Acura TLX? What Kind of Performance Can You Expect from the 2017 Acura TLX? With the performance of the 2017 Acura TLX at your disposal, expect to breeze past lesser models and feel your heart light up at the thought of even a quick run from A to B. Behind the wheel of an Acura TLX, even a daily commute into Nashville or Knoxville becomes an act to look forward to, with top-of-the-line engineering and exclusive performance features creating an incomparably powerful and refined ride. 3.5L V6 with 9-Speed Automatic Transmission: The ferocious V6 summons up to 290 hp and 267 lb-ft of torque for breathtaking performance. 9 gear ratios deliver fine-tuned drive dynamics, with Sequential SportShift Paddle Shifters for precise control and Grade Logic Control to hold you at a higher rpm on a steep uphill or downhill grade. Expect up to 21 mpg in the city and 34 mpg on the highway* with 2WD or 21 mpg in the city and 31 mpg on the highway* with AWD. The high-end specs of the 2017 Acura TLX’s cutting-edge powertrains provide an impression of its searing capability, but you’re still really only scratching the surface. 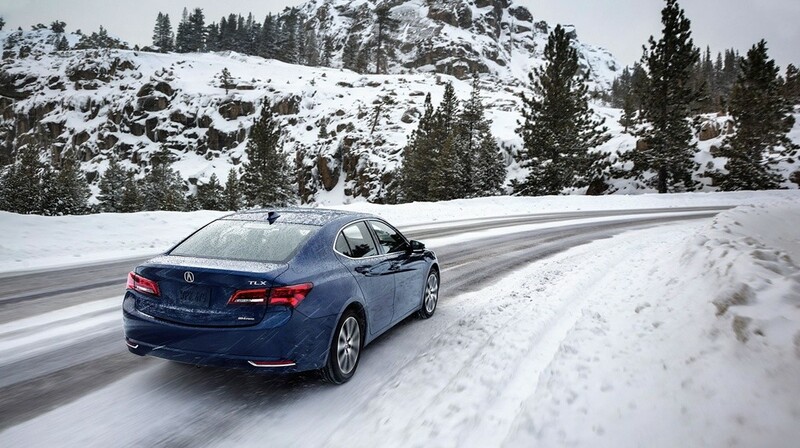 Built without compromises, the Acura TLX is a testament to incredible sport sedan standards, and it delivers plenty of further performance features to elevate your drive. Even the base-level trims fit the world’s first Precision All-Wheel Steer (P-AWS) system, which is able to adjust the tow angle of each wheel separately for athletic agility and a composed ride, and an Integrated Dynamics System brings modes for Econ, Normal, Sport, and Sport+. Wheel Sensors: Track the speed, steering angle, lateral G-force, and yaw rate of each wheel. Transfer-case: Delivers real-time driving data for ideal power distribution between front and rear. Rear Differential: Rear-wheel power can be distributed as much as 100% to the left or right wheel. While you’re pushing the vehicle hard and carving through corners, Active Noise Cancellation technology and an acoustic glass windshield will ensure that mechanical noise stays out of the cabin. Reading through specs and features can paint of picture of the Acura TLX’s performance, but you really need to experience it firsthand. To arrange your test drive or find out more, just contact Acura of Chattanooga today.